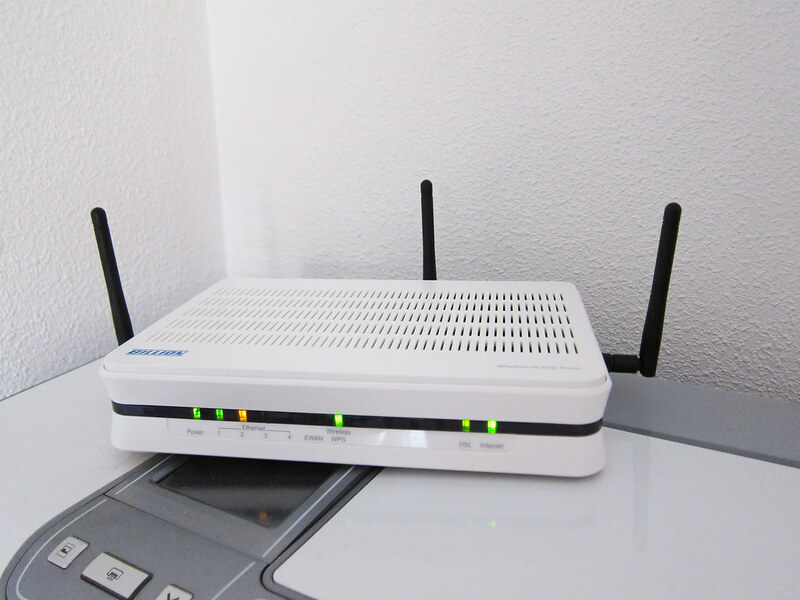 Home / Articles (Communication) / Why your Business Needs a Dual Band Wireless Router? Why your Business Needs a Dual Band Wireless Router? Wireless routers, that have flooded the market, offer a dazzling array of innovations that can be useful for your business. Many wireless routers are built keeping a business and its unique needs in mind. One of these unique features is that of a dual-band. A dual band wireless router, as the name suggests, has two transmitting bands – one of 2.4 GHz and the other of 5 GHz. The 2.4 GHz band is most commonly used and therefore, results in a slower network because of a host of devices that tap into it. On the other hand, logging into the 5 Hz results in faster internet. But since it is at a higher frequency, your network speed might be hindered by obstructions like walls. However, investing in a dual band wireless router can be very beneficial to your business. Here are a few reasons as to why your business needs a dual band wireless router. Your business, whether small or big, relies on rather heavy network usage. At any given point, the router will be hooked to many devices and all these devices will be downloading and streaming data simultaneously. In this scenario, a dual band wireless router will be great for your business network needs. You will be able to sync many devices to the router without compromising on the speed of the network data. Old and new devices will all be part of your business. And a dual band wireless router will be compatible with all of them and provide them all with reliable network coverage. You can easily have all the devices, in your office connect to a band that is preferred. So, slower PCs that are used for casual browsing can be linked to the 2.4 GHz band and a faster device, like the latest iPad, to the 5 GHz. The best thing about dual band wireless routers is that it is easy to install. The bands in the wireless router send out signals simultaneously. Both bands come with a distinct SSID. For example, if the SSID of the 2.4 GHz is called ‘ABC’, then the SSID attached to the 5 GHz may be called ‘ABC 5’. All you will need to do is connect your device to the assigned IDs and you are good to go. Routers with dual bands come fitted with an exciting innovation called beamforming. Also known as spatial filtering, beamforming comes into play when you want your router to direct its signals to a particular adapter. It prevents the WiFi from being strewn all across the place and it focuses on bringing better speed and coverage to your device. More importantly, the intelligent innovation works its way around the obstacles around the room, like walls and floors, and reaches the signal to the device that has been hooked up. Dual band routers are the future. So, it will save you a whole lot of effort and money, if you just invest in it now. Plus, as you add more updated devices to the network, it will be easier for those to function with a dual band. As your business grows and expands, a dual band wireless router will be better equipped to handle an increasing network usage at your end. For a business, a dual band wireless router is a boon, since it provides for reliable and efficient network coverage. Moreover, its easy installation process and its advanced technology make it a good bet for not just for the present but for the future as well. Here are the biggest data breaches in 2018, this article provides a look at the most affected institutions and describes how data breaches impact clients.